If you’re seriously considering filing, you’ll want to consider the pros and cons of each type of bankruptcy. In Chapter 13 bankruptcy, debtors are expected to repay their creditors in manageable sums according to the terms of their repayment plan. While this may not seem as exciting as having your dischargeable debts completely wiped out (the option offered in Chapter 7 bankruptcy), some people do wish to repay part of their debts. If you do not qualify for Chapter 7 anyway because you do not pass the means test (have a low enough income), the Chapter 13 repayment plan is preferable to dealing with creditor harassment and trying to create a repayment plan of your own. The planning and organization is done for you by the courts; you just have to follow the three- to five-year plan. Regardless of whether your property is exempt or nonexempt, you get to keep it under Chapter 13 as long as you make your scheduled payments. Chapter 7 doesn’t offer such protections. For example, you may have to give up luxury vehicles, art pieces and furniture under Chapter 7, but not under Chapter 13. If you’ve missed house or car payments and want to keep this property, Chapter 13 is usually the best option. 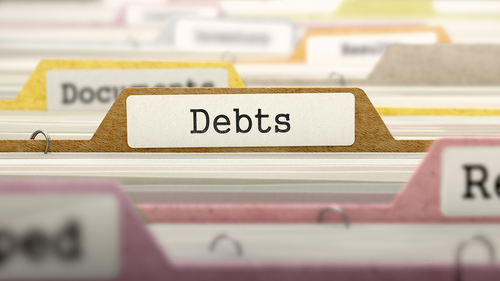 Debtors can start repaying arrears in addition to their regular payments during their repayment period. As long as both these payments are made, you can keep your home and car. In limited situations, you may even get to reorganize your mortgage or car loan based on the property’s current value. While both Chapter 13 and Chapter 7 bankruptcy will be listed on your credit report, Chapter 13 is only listed for seven years, whereas Chapter 7 is listed for 10 years. That three-year difference can have a huge effect! Your trustee is responsible for managing your bankruptcy estate, which means they’re the only ones talking to creditors. If you’ve been bombarded with intimidating calls and letters for the past year, this may come as a huge relief. If your loved one co-signed any consumer loans with you, creditors will not harass them as long as you stick to the repayment plan. If you were to file Chapter 7, your co-signer would be on the hook for all the debt and possibly forced into bankruptcy themselves. Perhaps the most obvious benefit, all dischargeable debts are forgiven upon the completion of your repayment plan. This includes unsecured debts like medical bills, credit card debt, personal loans and utility bills. The Chapter 13 repayment plan takes between three and five years, depending on your income and unique circumstances, leaving you in financial limbo for a significant period of time. Chapter 7 liquidation only takes up to six months. Your debts are discharged under Chapter 13 only if you follow through on your repayment plan. Believe it or not, a very large number of filers don’t finish the plan and are left with debt as a result. If you can no longer keep up with your repayment plan because you experience a major event like a job loss, the court may decide to modify your plan, convert your case to Chapter 7 or grant you a hardship discharge. Chapter 13 is designed to allow debtors to pay off their debt with their disposable income, which is any income above and beyond what’s needed for the bare necessities, as determined by the courts. Some filers may not be able to cope with this limitation. Bankruptcy will cause your credit score to plummet in the short-term, and any new credit lines you open will be subject to smaller balances and higher interest rates. However, these penalties may be worth it for debt relief. Remember that bankruptcy doesn’t destroy your credit for life. You can always start rebuilding credit right away, even as you follow your repayment plan. Because you have a history of bankruptcy, lenders will be less likely to give you a mortgage or loan. Even if they do, your interest rates will probably be hiked up. There are also predatory mortgage lenders, credit card companies and loan officers out there who prey on people who have filed bankruptcy to make a quick buck. After filing, you will need to approach mortgages, lines of credit and loans will extra caution. Technically speaking, your bankruptcy is accessible via public record and you will have to appear at the public meeting of creditors. If this scares you, realize the chances of someone actually seeking out this information is relatively low. Bankruptcy isn’t exactly exciting news! People who will find out about your bankruptcy include creditors, co-debtors, your employer if wage garnishments are deducted from your pay, or perhaps some nosy family members if they sift through your mail. In very few instances, bankruptcies are listed in the local paper, but this is uncommon. If you are considering filing Chapter 13 bankruptcy, it’s important to consult with a qualified lawyer to ensure you’re making the best choice for your financial situation. 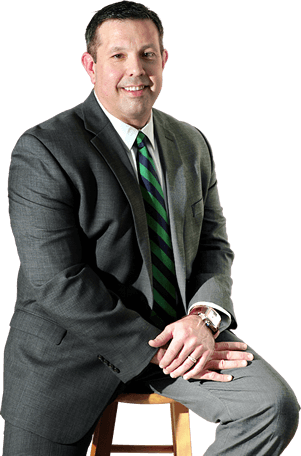 At Bartolone Law, our legal team guides clients through all cases of consumer bankruptcy, including Chapter 13 and Chapter 7. Call us at (407) 294-4440 today to schedule your free initial consultation.